Wide cushions provide overall comfort and back support. Steel frame and legs deliver exceptional durability. Upholstery contains stain-resistant protection to maintain a clean appearance. 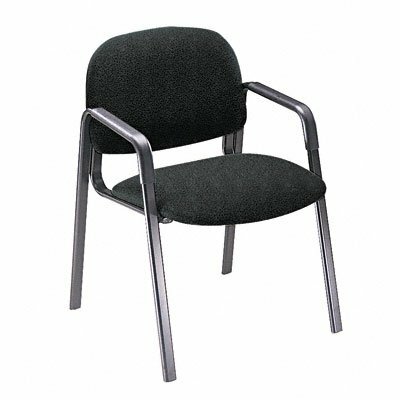 Recommended Applications: Guest, Reception, Waiting Room amp;amp; Lounge General Office amp;amp; Task Seat/Back Color: Black Arms Included: Yes Arm Style: Arch.